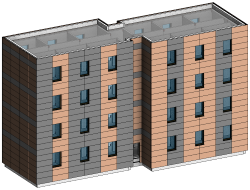 Ventilated Facades software makes it quick and easy to design ventilated facades in Revit® with highly detailed elements and real-time full project updates. That ensures you’ll get accurate bills of materials and builders work drawings, and accurate on-site assembly thanks to BIM-to-Field features. Together with Metal Framing Wall functionality, which is included, Ventilated Facades enables the instant large-scale insertion of hangers, fixings and brackets throughout your Revit® model. Which means you’ll get high-quality framing models at the level of detail required. Project elements can be easily marked according to properties and locations. And fabrication information can be automatically generated with all desired views, schedules, and drawings. Smart Details instantly adds any number of face-specific intelligent details – which adapt to host-element changes – throughout BIM models. Easily set up rules to insert or adjust details based on gravity point, depth, adjacent elements, and more. It saves many hours per project, especially for structural engineers. Use parameters of host elements to make your details smart and adaptive to host length, thickness, height, etc. If you would like to see for yourself how curtain walls and panels can be created in Revit, then test it out! For €500/$500 per company (unlimited attendees), you will receive 3 hours of individual online training, a highly-detailed sample project, and over 20 Revit families. 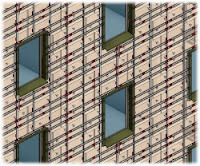 The training sessions will give you a foundation in software to create curtain walls and panels. Ventilated Facades is brought to you by AGACAD. Pricing was not known at press time.